David Stromberg is the editor of the new book In the Land of Happy Tears: Yiddish Tales for Modern Times, a collection of Yiddish fiction for children. 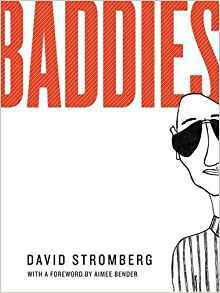 His work has appeared in various publications, including Ambit and Chicago Literati, and his other books include the cartoon collection Baddies. He lives in Jerusalem. Q: How did you end up collecting and editing this volume of Yiddish stories? A: As part of my literary activity, over the past decade or so, I've worked to collect, edit, or translate texts from different cultures and languages. It's part of what I consider the duty of literary activism. In recent years, I've also been working as editor to the Isaac Bashevis Singer Literary Trust, bringing out new works. 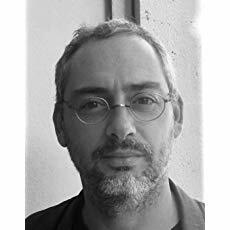 When the publisher of Delacorte wanted to do a collection of Yiddish children's tales, I was approached, and was able to suggest an angle or approach that, I think, was different from what most people might have expected from Yiddish fiction for children. Q: How did you pick the stories to include, and do you see any common themes running through them? A: Yiddish literature is both much more vast and much more limited than most people realize – especially when it comes to modern works. There was an extremely productive period of Yiddish printing both in the United States and Eastern Europe from the late 19th century until the Second World War. There was no way I was going to be able to cover that great richness in a volume meant to work as an intimate collection rather than an expansive anthology. At the same time, it was important to bring in as many different voices as possible, particularly the voices of women who were part of the literary landscape. And so, little by little, I found myself focusing on a particular moment in history, after the First World War but before the specter of the Second World War, when there was a sense that young people needed moral guidance in a world revealing itself to be scarier than anything the adults had ever experienced. This, to me, is what the stories had in common – they were all written for their time, with the wisdom of the past, but with their eyes focused right on the present and future. There's an urgency, an immediacy, in these stories – they were written and published almost simultaneously – that is felt in how necessary they feel for their audiences. There's a sense that the future literally depends on whether children living at that moment can acquire the wisdom they need, quickly enough, to survive the changes that are coming. Bravery, Rebellion, Justice, Wonder – the sections into which the book is split – are literally the qualities that children need not just to survive the coming changes, but also to thrive in the quickly changing world. Q: What do you hope readers take away from this collection? A: We live today in a world that's changing even more quickly than the one of a century ago – though the challenges to children are, essentially, the same. A moral compass in relation to one's own actions, together with an understanding of the other and their needs, along with a awareness of the powers that each unique soul holds – these are the ingredients to a future culture and society that will prioritize honesty, tolerance, and a sense of creativity. 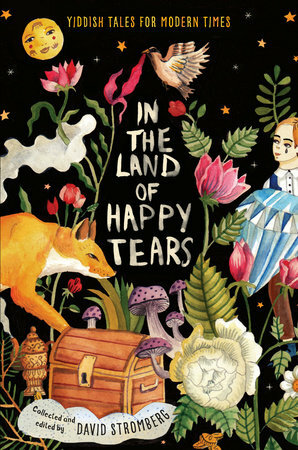 A: It was always clear to me that that "In the Land of Happy Tears" would be the first story in the collection and also give the collection its title. It may be a personal tendency: my first book was a collection of single-panel cartoons called Saddies. I've always felt that the funny and the sad coexist, often in a way that is difficult for us to bear, but if we learn to appreciate people or experiences on their own terms, we get beyond funny and sad, and accept them for what they are. That's the land that, I believe, this book suggests exists. A: I'm always working on several things at once – and often covering very different fields and genres. I recently completed a literary-philosophical manuscript called Idiot Love: Aspects of Intimacy, which is meant to help foster a complex understanding of human relations. I'm conducting biographical research on Isaac Bashevis Singer and his development as a writer. I'm writing a few stories. And I'm slowly developing a project that would focus on navigating anger toward wisdom. A: The collection was put together with lots of thought and consideration – but the beauty of these texts is that they are not difficult to access. And yet they don't give away their meaning too easily. They make you wonder, ask questions, and maybe change perspective on something in your life.